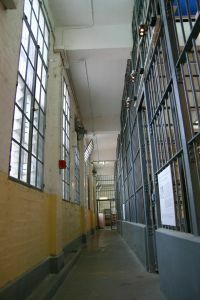 Many people learn their lesson after the first time they are arrested and convicted of drunk driving in Massachusetts. Unfortunately, some drivers will keeping taking chances with other people’s safety until they end up in prison. A recent article from My Fox Boston is an example of someone who is alleged to be one of these repeat offenders. Authorities in Hingham, Massachusetts say they have recently arrested a man on his fourth offense for operating a motor vehicle under the influence (OUI) of intoxicating liquor or drugs. Just before 10 p.m., defendant was driving around a rotary when an officer observed a can of beer in the passenger seat. They detected a strong odor of an alcoholic beverage. Officers also noticed the man’s eyes were bloodshot. When asked if had been driving, officers say defendant admitted he had been drinking alcohol. At this point, officers asked defendant to perform a series of standardized field sobriety tests, and he agreed. Officers determined he failed all three tests. When officers placed defendant under arrest for drunk driving, they performed an inventory search of his vehicle. During this search incident to arrest, they supposedly found two open beer cans under the driver’s seat and a plastic bag containing less than one ounce of a green leafy substance believed to be marijuana. Police issued defendant a civil citation for possession of less than one ounce of marijuana. As our Boston drunk driving accident lawyers can explain, the man was only issued a civil citation for possession of marijuana because the drug has been decriminalized in the Commonwealth of Massachusetts. However, just because possession of small amounts of has been reduced to civil ordinance violation from a criminal charge, this does not mean it is legal to drive under the influence of marijuana. This is still illegal. It also can be used as evidence to prove negligence in civil car accident lawsuit. Authorities also say upon running defendant’s record, they discovered he had three previous offenses for drunk driving in Weymouth, Boston, and Quincy. Under Massachusetts law, officer towed his truck away to be confiscated. They were permitted to do this because of his three previous drunk driving offenses. With the decriminalization of marijuana and increasing support for legalization across the United States, courts are being faced with a new challenge. What does it mean to be under the influence of marijuana? Let’s use alcohol as an example. It is legal for anyone 21 or over to purchase alcohol. It is also legal for a person over age 21 to have a closed container (factory sealed) in his or her car. However, it is illegal, and negligent in a civil case, to drive under the influence. The law has determined under the influence to mean having a BAC of .08 or higher. With marijuana, there is no legal limit, so courts use a case-by-case factual determination method to make a finding a driver is under the influence of marijuana. It should be noted, scientists from around the world recently met in Europe to develop a scientific standard to be used in criminal trials and civil car accident cases.